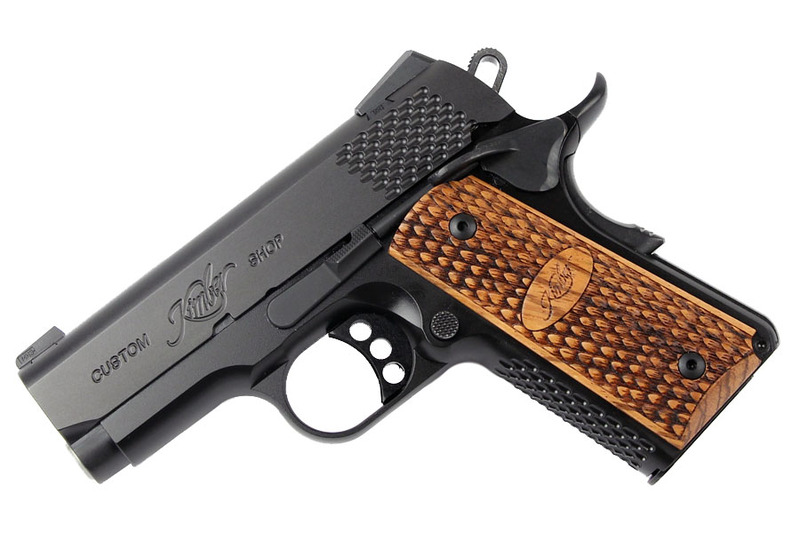 The Kimber Ultra Raptor II is a compact 1911 with unique scaling on the front strap, grips and slide. 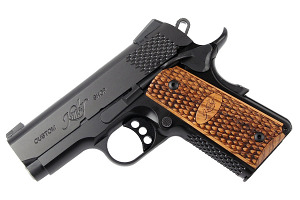 Compact and lightweight, the Ultra Raptor is ideal for concealed carry. Featuring a lightweight aluminum frame, steel slide, 3 inch steel match grade barrel, tactical wedge fixed 3 dot tritium night sights, ambidextrous safety, aluminum match grade trigger set at 4-5 lbs., and zebra wood grips with scale pattern to match pistol scaling. Comes with case and one magazine.